Our store is open during normal office hours 12 – 4 pm Monday through Thursday. We focus on materials related to nonviolence, the Middle East, war and peace, racial and economic justice issues, Gandhi, Martin Luther King, Jr. and fair trade items from Palestine. You can even purchase a few of these items online! Sales tax is applied at Paypal checkout. 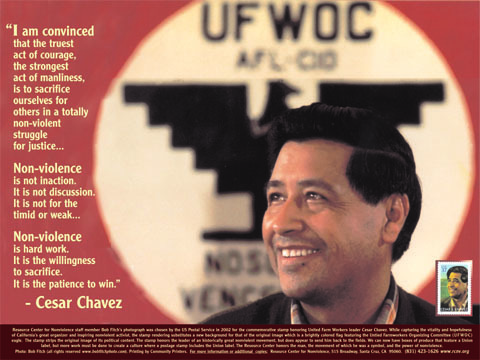 18×24 full color poster with photo by Bob Fitch. 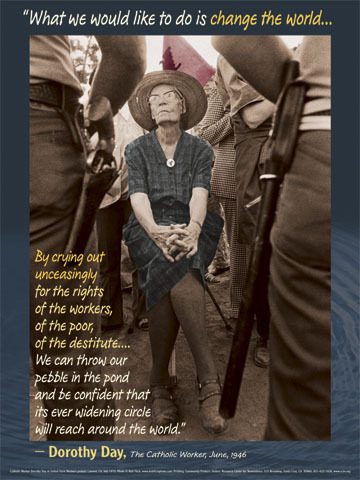 “What we would like to do is change the world… By crying out unceasingly for the rights of the workers, of the poor, of the destitute… We can throw our pebble in the pond and be confident that the ever widening circle will reach around the world.” — Dorothy Day, The Catholic Worker, June, 1946. 18×24 full color poster with photo by Bob Fitch. 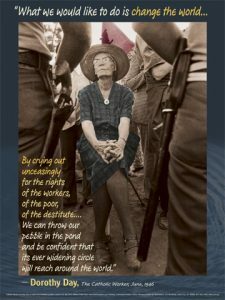 “I am convinced that truest act of courage, the strongest act of manliness, is to sacrifice ourselves for others in a totally nonviolent struggle for justice… Nonviolence is not inaction.It is not discussion. 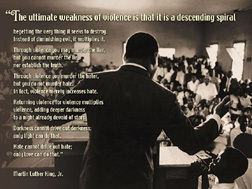 It is not for the timid or weak… Nonviolence is hard work. It is the willingness to sacrifice. 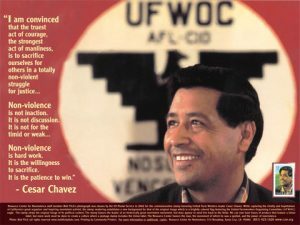 It is the patience to win.” — Cesar Chavez. Classic duotone of Dr. Martin Luther King, Jr., in Eutaw, AL church, 1966: “The ultimate weakness of violence is that it is a descending spiral begetting the very thing it seeks to destroy. Instead of diminishing evil, it multiplies it. Through violence you may murder the liar, but you cannot murder the lie, nor establish the truth. Through violence you murder the hater, but you do not murder hate. In fact,violence merely increases hate. Returning violence for violence multiplies violence, adding deeper darkness to a night already devoid of stars. Darkness cannot drive out darkness; only light can do that. Hate cannot drive out hate; only love can do that.” — Martin Luther King, Jr. 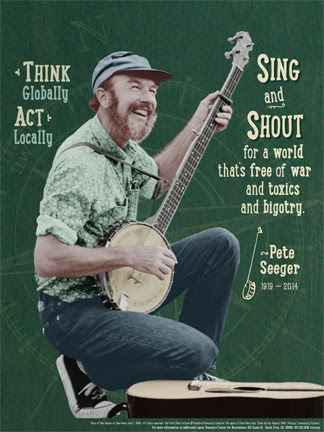 Produced in response to terrorist attacks of 9/11/01, this 18×24 poster affirms the necessity and power of nonviolence. Photo by Bob Fitch. Perfect for personal use and educational settings. Photo by Bob Fitch. Excerpt from King’s “I Have a Dream” speech: “…deeply rooted in the American dream, that my four little children will one day live in a nation where they will not be judged by the color of their skin but by the content of their character…. that little black boys and black girls will be able to join hands with little white boys and white girls and walk together as sisters and brothers.” 18×24. Rust, brown and black on white. Support Palestinian economic sustainability and the Middle East program of the Resource Center for Nonviolence! 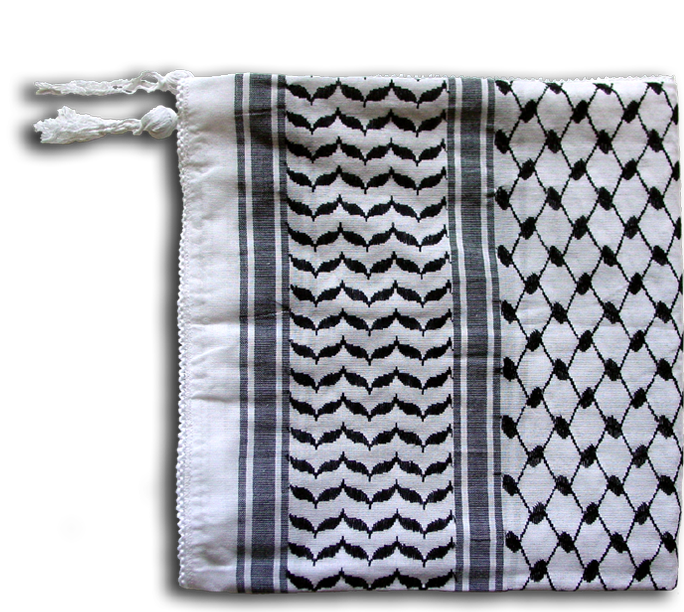 RCNV is selling Keffiyehs made in Hebron, West Bank, Palestine, by the only remaining manufacturer of the traditional Palestinian head scarf. Other keffiyehs that you see are made in China, including most of those sold in the West Bank, Gaza and East Jerusalem. 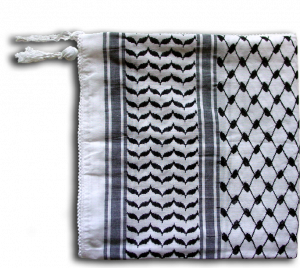 Sale of the traditional black, red and multicolored keffiyehs benefits the the sole Palestinian source for keffiyehs and RCNV. Note: Olive oil cannot be purchased online, but if you’re ever in Santa Cruz, stop buy and pick up a bottle of Cannan Fair Trade olive oil! Both are priced at $18 for a 500ml glass bottle and $28 for a 1000ml recloseable tin. These olive oils come from the native olive tree of Palestine. They are fruity with medium body, sweet and buttery. Certified Organic, Extra Virgin, and Cold Pressed, these olive oils are harvested from fair trade orchards in the West Bank areas of Jenin, Nablus, Salfit, and Ramallah. The trees are farmed in the traditional manner on ancient stone terraces.